I tend not to do a huge amount of post-production editing on my images. It’s not that I’m somehow opposed to such things, it’s just a choice. But occasionally I throw caution to the wind and push the boundaries of the editing process to create something which is clearly not “real” but catches a particular mood within an image. 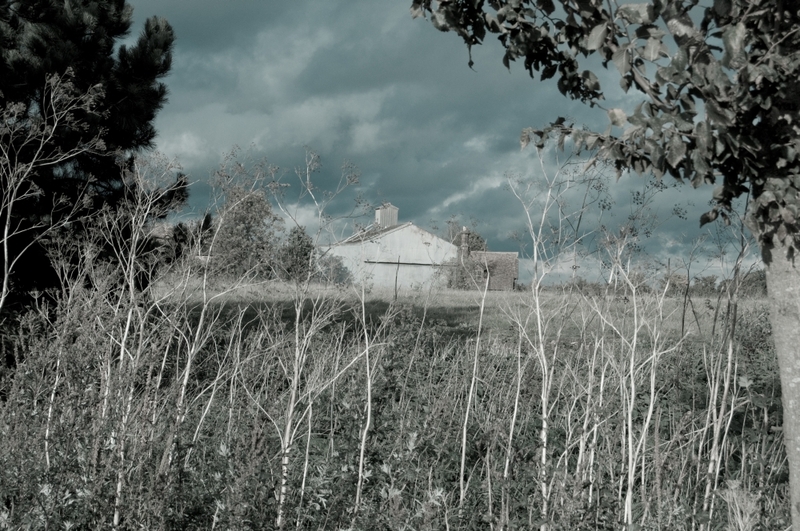 In today’s picture of a barn on a hilltop, the colours in some parts of the image appear almost washed out, while the sky is an unreal shade of blue-grey. The heavy clouds lowering overhead, combined with the low angle of view, create what I feel is quite a sinister tone to the picture. This entry was posted in Landscape, Photography and tagged barn, cloud, colour, low, photograph, Photography, sinister, sky. Bookmark the permalink.